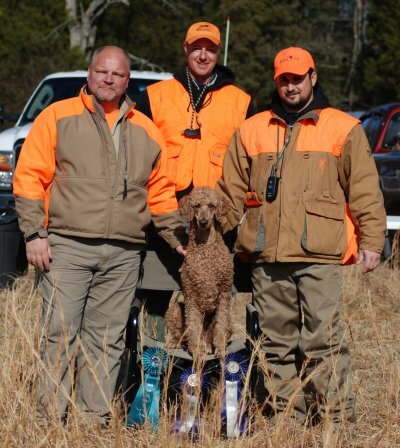 "Layla" earned her first Master Hunter Pass at the Carolinas Retriever Association Club in Mullins, SC. 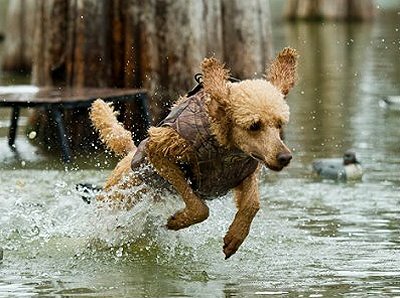 This picture was selected for the 2013 GUNDOG Calendar (March) taken by Mark Atwater of Upclose Photography. 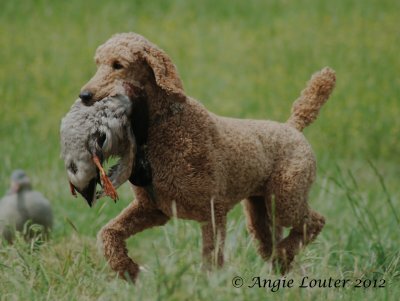 "Cooper" earned the UGA Upland Gundog Advanced Title at the UGA Events in Parnell, Iowa. 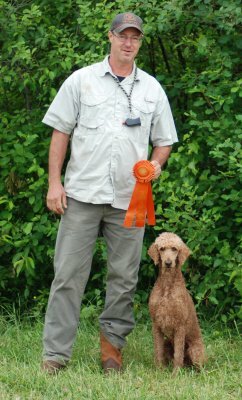 He is the First Standard Poodle in history to achieve the title. 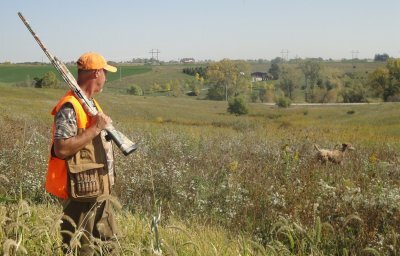 The Upland Gundog Association is a hunt test organization dedicated to testing a dogï¿½s true upland hunting ability. 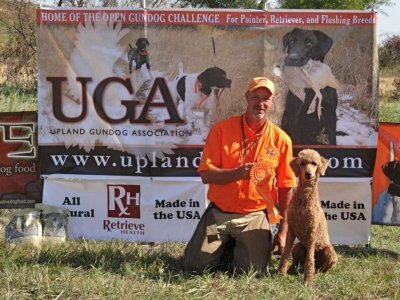 "Whiskey" earned the UG Upland Gundog Title at the UGA Events in Parnell, Iowa. She is the First Standard Poodle in history to achieve this title. "Whiskey" earned her first 2 passes at the Music City HRC tests. She also earned two more passes the following weekend at the Old Hatchie HRC tests on May 19th & 20th for her SHR Title! 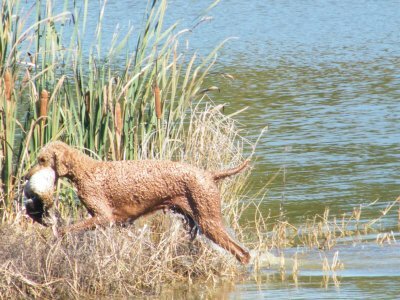 "Cooper" earned his last pass needed for his (MHR) Master Hunter Retriever Title with (NAHRA) at the Western Arizona Gun Dog Club in Arlington, AZ. 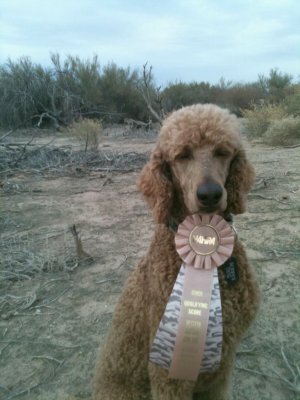 He is the First Poodle in history to achieve the (MHR) Title in (NAHRA) history! Dec. 11th 2011. 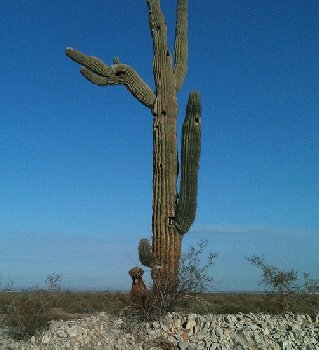 "Cooper" did a fine job and earned his fourth NAHRA pass! Cooper earned another NAHRA Senior pass at the Rappahannock River Ret. Club on Oct. 30th in Remington, VA. 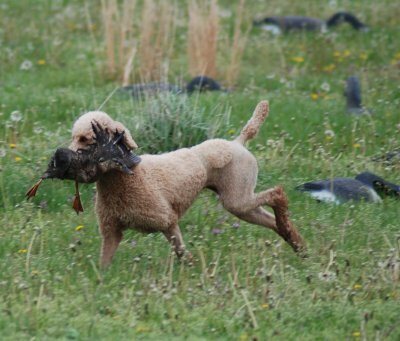 He did very well on his trailing test and got lots of compliments on his Upland test. Cooper earned his First 2 NAHRA Senior passes at the Old Dominion Ret. Club on Oct. 15th & 16th in Heathsville, VA. 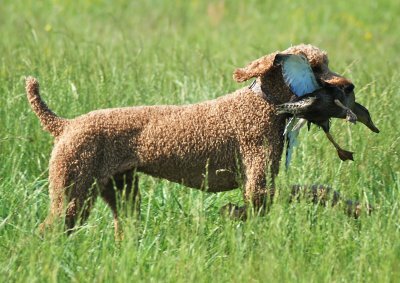 The NAHRA tests were very much like real hunting and Cooper enjoyed this new game of hunt tests which included a Trailing test and an Upland test. 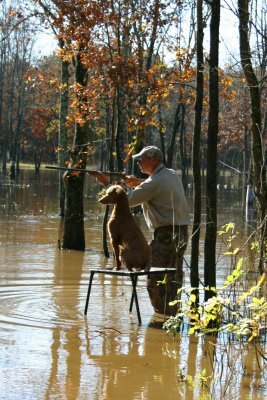 "Bremer" finished his Hunting Retriever Title (UKC) at the Old South Hunting Retriever Club in GA.
Bremer did a fine job at the Music City HRC tests in LaVergne, TN on August 28th 2011. He earned his first Seasoned pass! Valley GRC in Hambden, OH! He ran all 3 series clean with no handles and a couple really nice water blinds. He is now the 9th Standard Poodle in history to earn the MH title!! "Layla" earned her last Q Leg for her Senior Hunter Title at the Cuyahoga Valley GRC in Hambden, Ohio. He ran all 3 series clean and ended with an outstanding down the shore water blind that had the gallery cheering! 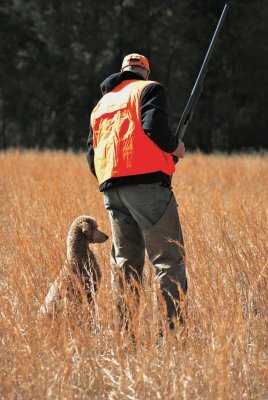 Cooper achieved his last Upland pass needed for his Upland Title at the Old South Hunting Retriever Club in Madison, GA. 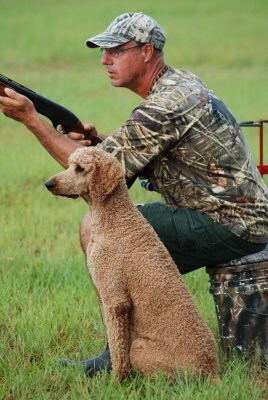 He is now the 5th Standard Poodle in History to achieve the UH title. "Cooper" went 3 for 4 at the CBSRC Upland Quad in Fort Lawn, SC. He just needs one more pass for his Upland Title. 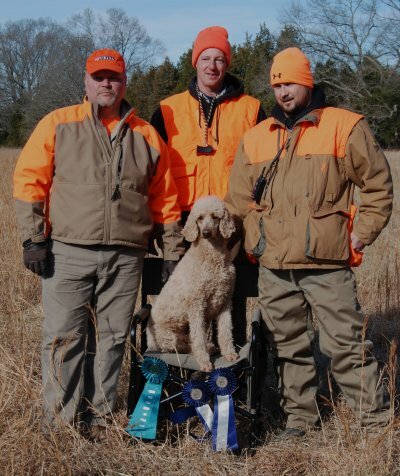 "Layla" went 3 for 4 at the CBSHRC Upland Quad in Fort Lawn, SC for her Upland Hunter Title. Special thanks to Judges, Bill Crites & Greg Zett for their time spent judging the event. 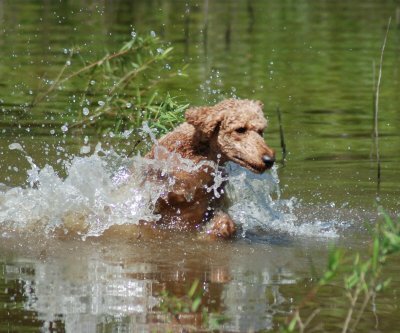 She is the 4th Standard Poodle in history to achieve the UH Title.